The Song Manager is designed to help organize your songs easily and quickly. Click the image right to read the full article. Deckadance has the widest support for MIDI controllers in the industry. DD 1.8 supports the following brands: Allen&Heath, American Audio, Bheringer, DJ-Tech, EKS, Hercules, iCon, Kontrol-DJ, M-Audio, Numark, Omnitronic, OpenLabs, Percussa, Reloop, Stanton, SYNQ, Vestax, Nintendo Wii & General MIDI. - Newtone - Pitch correction editor beta (see opposite). - Pitcher - Live pitch correction plugin. Beta 2. - Preview Playlist Clips - Alt + Right click Clip. - New Pattern Button - On Stepsequencer. - Ctrl + Middle Mouse - Resize Playlist tracks. - Playlist - Left+Shift swaps Pencil and Brush tools. - Piano roll - Sift + H or J cycles through used Channels. - Project files - Local paths now saved in project. 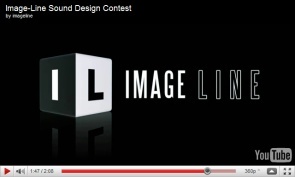 You chance to add sound to Papam Studios animated Image-Line logo. Closes December 13 so be quick! Win $300, $200 or $100 Image-Line virtual cash to spend on whatever you want in our shop. We will also use your sound design on our YouTube videos. NEWTONE & PITCHER Bundle - Pay what you think they're worth! Newtone (editor) is a pitch and time correction, manipulation editor. 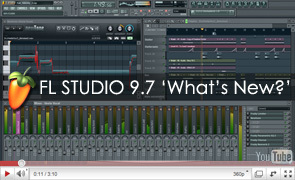 Fully integrated with FL Studio for the most efficient work flow. Pitcher (effect) is a real-time pitch correction and manipulation plugin first released with FL Studio 9.6 Beta. This time it gains a new user interface and more advanced features. Newtone & Pitcher (betas), test and report!